Apparently, drying wet washing inside can cause moisture levels to increase by as much as 30 per cent. In turn this creates an ideal breeding ground for mould, with aspergillus fumigatus spores worrying scientists particularly, because they can cause lung infections. “One load of wet washing contains almost two litres of water, which is released into the room. Most of us are either immune to the fungus which grows in these humid conditions, or have a sufficiently healthy system to fight the infection,” Professor David Denning of the National Aspergillosis Centre in Manchester said. ‘But in asthma sufferers it can produce coughing and wheeziness, and in people with weak or damaged immune systems, such as cancer patients undergoing chemotherapy, Aids patients and people who have an auto immune disease, the fungus can cause pulmonary aspergillosis – a condition which can cause irreparable, and sometime fatal, damage to the lungs and sinuses. Craige Mather 43 -year-old, said that since he had been drying his clothes inside that he managed to get a lung infection. He had been seen to be suffering from lung problems due to toxic mold spores that had developed from drying his clothes on the radiator of his living room. As the doctor proclaimed him to having these problems could get much worse unless he were to stop drying his clothes indoors for the next 12 months. As he had done so, he had noticed significant differences in improvements to his health. Craige’s experience with this unfortunate design of nature should be a warning to all of those who still desire to dry their clothes indoors instead of outdoors. With the downside of his situation being the radiator and causing 30% increased humidity, the mold spores were in perfect alignment of causing him serious health issues. By far the safest way to deal with wet clothes is to hang them outside to dry, even if that is going to take longer than usual because of the weather. It’s also worth considering a tumble dryer if you can, or visiting a launderette to use one should it be easier.You can find a well-ventilated area of your home to hang you wash up and make sure it’s away from the busiest areas of the house or flat, namely bedrooms and living rooms. 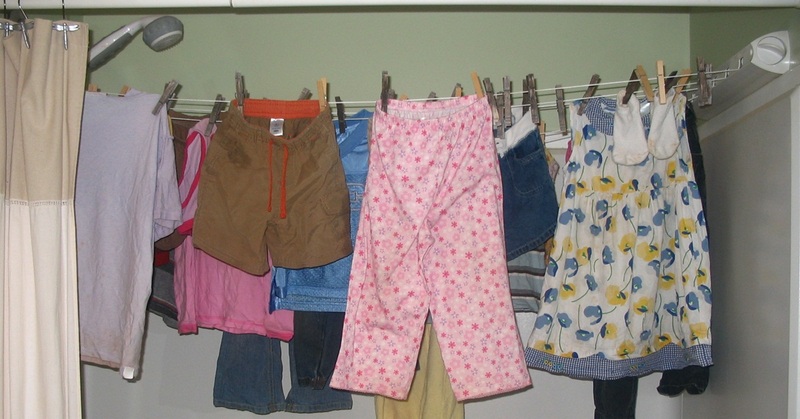 Using an dryer is also better than hanging things on radiators, plus try putting loads on an intense spinning cycle before taking them out of the washing machine to ensure they are already as dry as possible.